Tollywood Latest Updates, New Movie Reviews and New Movie trailers. 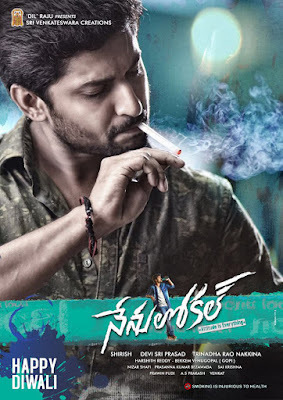 The first look poster of Natural Star Nani's upcoming film 'Nenu Local' has been unveiled a while ago by Dil Raju's Sri Venkateswara Creations. Staying true to the tag line 'Attitude is Everything', Nani has shown his massy attitude in the first look. 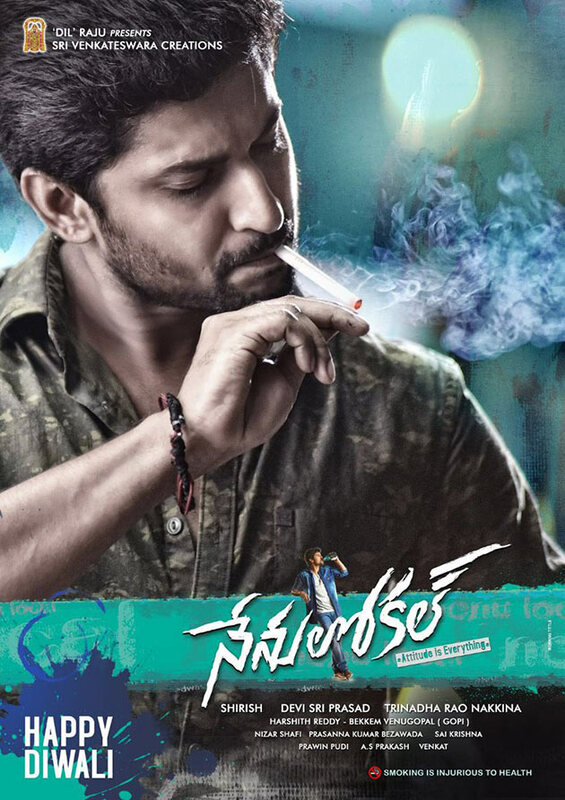 His rugged look and the stylish cigar lighting act hint that after a long time, Nani is playing a rough and tough character in 'Nenu Local'. In his last few films 'Majnu', 'Gentleman', Krishnagadi..', 'Bhale Bhale..' etc. the effortlessly natural actor has played classy and submissive kind of characters but 'Nenu Local' looks to be a welcome change for him as well as the audience, who almost rejected Majnu after getting vexed of watching him in marginally distinct roles. Being directed by Trinadha Rao of 'Cinema Choopistha Maava' fame, 'Nenu Local' has Keerthy Suresh playing the female lead role. Devi Sri Prasad is scoring music for a Nani starrer for the first time. Christmas is the tentative release time. TollyTeaser is one stop platform for latest Telugu film updates, News, gossips, reviews, collections,Cinema News and Movie reviews, photos of Tollywood.